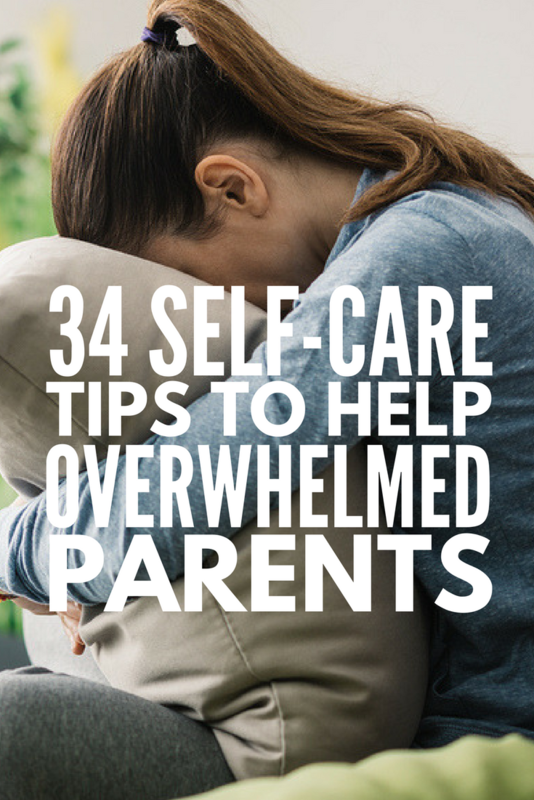 If you’re a busy and overwhelmed mom trying to figure how how to take care of yourself before you completely burn out, you’ve come to the right place. While it’s human nature to put the needs of our children before our own, there is only so long we can live in a constant state of stress and fatigue before our bodies start to break down. We become anxious and irritable, depressed and withdrawn, and start to lose interest in the things that are happening around us. Life starts to feel like an uphill battle, and we eventually start taking our feelings out on the people we love. Do we realize this is happening? But since the ‘put your child before yourself’ concept is so ingrained in our brains, we become defeatists and remind ourselves that this is our lot in life. But what if I told you that’s a load of bologna? What if I told you it’s not only 100% okay to learn how to take care of yourself, but that learning the art of self care is essential for the well-being of your family? Why is Self Care So Important for Moms? An imbalance in our emotional health can lead to physical issues such as chest pains, ulcers, and high blood sugar, as well as emotional issues like stress and depression. Our emotional health impacts how we feel about ourselves. It also enhances the quality of our relationships, and effects how we deal with our feelings and handle difficulties. Self care is key to our emotional health because it helps us manage stress and handle things, both positive or negative, in a healthy way. Start small. If you’re ready to learn how to take care of yourself and make self care a priority, the most important thing to keep in mind is to start small. While you may aspire to do something huge, like go back to school or train for a half marathon, you will be much more successful if you take baby steps in the beginning and then add to your goals over time. Schedule it. A great way to prioritize self care is to schedule it into your calendar, and then protect that time like a newborn child. Don’t allow other, less important tasks take precedence, and when you do have to cancel a trip to the gym, nail appointment, or lunch date with a friend due to something completely out of your control (i.e. your child getting sick), make sure to reschedule instead of cancelling. Wake up earlier. A great way to reduce stress and start your day off on a positive note is to set your alarm clock 30-60 minutes before the rest of your household wakes up so you can enjoy a little alone time before the world starts pulling at you. Trade off with someone else. If you’re a single mom, consider trading off playdates and babysitting duties with a friend or family member, or join a local moms group so you join other moms for outings each week. Learn to say ‘no’. As much as we want to be everything to everyone, the truth is that we are only human. There are only so many hours in the day and we need to be better about setting boundaries with our time so we can prioritize more important things like self care! Whether you’re looking for anxiety relief or simple ways to reduce stress so you can be more present for your family, there are heaps of ways you can take good care of yourself each and every day. Maintain proper nutrition. Nutrition plays a major role in your emotional health. What you eat affects you physically and mentally, and bad eating habits can lead to more stress. If you know you’re going to be pressed for time during the week, try meal prepping each Sunday to ensure you have healthy meals and snacks day after day. You can batch cook large meals, store them in reusable meal prep containers, and heat them up as you need. Find a support group. A good group of friends is extremely important for your emotional health. Friends pick you up when you’re down, offer advice, and are always there when you need them most. They can make a stressful situation much less taxing and provide insight you may not have thought about. Get A Good Night’s Sleep. Without proper sleep, you’re more likely to feel stressed out ad less able to take care of yourself throughout the day. Adults should be getting 7 to 9 hours of sleep each night in order to function properly and perform at peak productivity. Healthy sleep habits benefit you all around and are key to a healthy lifestyle. Take Up a Hobby. Whether it’s crochet, DIY projects, cooking, gardening, or blogging, finding a hobby you love provides great emotional release and can help you cope with stressful situations in life and work. Hobbies encourage you to take a break, and in a world that’s always go-go-go, this is incredibly important. Hobbies also offer a positive challenge and urge you to continue to learn new things, while also reminding you to stay present and connect you with others who have the same interest. Find Balance. Finding balance is extremely important when it comes to your emotional health. Strive for balance between work and play, activity and rest, alone time and social time. Teetering to one side can throw your stress levels and emotions out of whack. Take Up Meditation or Yoga. Whether it’s 20 minutes of self-meditation or an hour long yoga class, these activities are some of the best for overcoming stress, and they also help with anxiety relief by incorporating techniques that encourage deep breathing, muscle relaxation and tranquility throughout your entire mind and body. While many of us know the theory behind proper self care, and while it’s so important for proper stress relief, it can be difficult to find ways to relieve stress when you’re juggling a million different things at once. Resist the urge to vent. Yes, venting is therapeutic, but when we engage with others immediately after something upsets or angers us, we tend to say things we don’t mean and our emotions often escalate instead of dissipating. A much better strategy to use when something causes us stress is to take a time out to reflect on our feelings and resist the urge to talk to others until we’ve properly calmed down and have a better handle on our emotions. Take responsibility. When big feelings threaten to take us down, it’s time to take a look inside and get to the root of your challenges. Are you feeling overwhelmed? Stressed? Anxious? Tired? Do you suffer from low self-esteem? Did someone or something tap into feelings of deep-seated resentment you have from long ago? Are you plagued by feelings of jealousy? Strong emotions usually serves as a mask, and it’s often easier to resort to anger than it is to face our true fears and insecurities, but if we take the time to figure out the REAL reason for our feelings and confront them head-on, we’ll be much better off in the long run. Stop multi-tasking. If you have a tendency to measure your success by the amount of things you accomplish each day/week, I urge you to rethink your strategy. While it’s great to knock a million things off your never-ending list of things to do, the key to productivity is to do fewer things for more effect instead. I know this sounds absolutely crazy, but once you train yourself to tackle a few big things each day instead of getting bogged down with a million little and unimportant things, you will feel more accomplished and in control, and will have time for more important things like self care! Take a break. Yup. I’m serious. If you feel like you’re living in a constant state of stress and anxiety, it’s time to schedule a break. Get a manicure, go for a massage, or schedule a night away with your BFF so you can drink wine and watch chick flicks. You will feel much more relaxed and rested when you get home, which will have a positive impact on the care you are able to offer your family. Keep a written to do list. One of the tell-tale signs of a stressed out mom is that she is always talking about what she needs to get done, and if you make it a point to begin each day with a clear idea of exactly what needs to be done, you’ll find that you are more relaxed and worry free. You can keep your to-do list on your smart phone, or go old-school and write it down using a tool like The Productivity Planner like I do. Try to create your list at the beginning of the day to ensure you stay focused. Take up a hobby. While it might seem impossible to find the time to work on a hobby or project of your own, finding something you’re passionate about outside of being a parent and spouse can do wonders for your soul. Enroll yourself in pottery lessons, teach yourself how to knit, take a cooking class, or do what I did: start a blog! Whatever you choose to do, make time for it. You will be amazed at how much better you feel after spending time doing something you LOVE to do rather than drowning in laundry, bills, and dishes all day, everyday. Use essential oils. The calming effects of lavender oil can help you sleep better, bergamot oil is a powerful relaxant and can reduce nervous tension, anxiety, and stress, roman chamomile oil can reduce mental anxiety, paranoia, and hostility, and is also a great stress-buster that has been found to help with insomnia and muscle tension, and jasmine oil works to regulate feelings of stress, anxiety, and over-excitement in the brain. Delegate. As moms, we have a tendency to try and do everything ourselves. It’s just in our nature to do this, and as much as we love having control over every facet of our lives – and the lives of our children – learning how to let go and allow others to take care of the little things is essential in overcoming stress. Assign age-appropriate chores to your kids, outsource the things you don’t have time for, and stop sweating the small stuff. Eat well and exercise. As irritating as it is to hear people preach about the importance of eating a well-balanced diet and fitting at least 30 minutes of physical activity into your day, we almost always feel better when we make good choices in the health and fitness space. Not only do we have more energy, but we also sleep better and find it easier to handle stress and anxiety. Dietary changes are easy – all you need is a big dose of commitment and a hell of a lot of self-control – but finding the time to exercise can be challenging. The good news is that we live in a day and age where at-home workouts are available for free on YouTube, so there really aren’t any excuses. Keep a gratitude journal. While I’m not really one to write my feelings down on paper for all the world to see, The Five-Minute Journal has been a life-changer for me. It’s a simple yet powerful tool you can use to train your brain to start and end each day with feelings of gratitude so you can learn how to be a happy and positive person rather than a miserable cow. LOL. And it only takes 5 minutes to complete! It helps set the tone for your day and encourages you to create change from within while also reminding you to count your blessings and resolve conflicts before the day is done. It’s my favorite self care tip for busy moms! Seek professional help. As much as these ideas can help reduce your risk for burnout make stress relief easier, there may come a time when you’re so worn down and overwhelmed that you just cannot get out of your slump. If this sounds like you, I urge you to get help. Talk to your doctor about your concerns and ask if he can recommend a therapist to help you find ways to relieve stress within your means. As scary as this may sound, it’s essential you learn how to take care of yourself, and it can be extremely therapeutic to unload your worries onto a stranger. He or she may have some stress-reducing techniques you can use to lift yourself out of your funk. In those moments when your kids are tried, hungry, and cranky, you’re trying to juggle a million things at once, and you feel like you’re going to explode, there are certain stress relief techniques you can use IN THE MOMENT to help ground you. Breathe. Deep breathing is one of the most common breathing techniques for anxiety relief, and it can help reduce stress as well. It does take practice, but when you get used to it, you’ll be able to do it with ease. Find a chair to sit down in and put your arms on the armrests. Take a deep breath in through your nose, lasting for about 5 seconds, hold the breath for 3 seconds, and breathe out through your mouth for 7 seconds. Repeat 10 times, and as you get more comfortable with it, you can repeat up to 20 times. Crank some music. One of my favorite ways to relieve stress quickly is to blast my favorite tunes. If I’m feeling anxious and/or need to focus on something important, I usually opt for something instrumental and calming, but when it comes to overcoming stress in the moment, I often find upbeat tunes help me most. We recently equipped each floor of our home with Sonos Play: 1 Speakers for this exact purpose, and my daughter and I have regular dance parties each day to keep us both stress-free and grounded! Write it down. If you’re feeling stressed and anxious, take 5 minutes to do a brain dump. Write everything you need to do on a piece of paper and then prioritize each item. Which ones need to be done today? Which ones can wait until tomorrow or the day after? Which ones can be erased completely? Consider using a tool like The Productivity Planner to help you identify your most important tasks and stay accountable without feeling overwhelmed. Connect with a friend. While I find venting to others when we feel angry can actually escalate the issue and make it worse, calling a friend for help when you feel anxious or stressed can do wonders for your soul. It is extremely therapeutic to share our fears with others, and verbalizing our thoughts often helps put things into perspective. Cry. Crying has been said to release stress hormones and toxins from our bodies, which explains why we feel so much better after a good sob fest! Eat chocolate. While inhaling 3 chocolate bars after a bad day can lead to weight gain and other unpleasant health issues, there’s some pretty convincing evidence out there that suggests eating controlled amounts of dark chocolate on the regular can actually be good for your mental state as it helps lower the levels of cortisol in your body. Scream into a pillow. Have you ever done this? It can be really satisfying! Take a hot shower. Standing under a hot shower after a long and stressful day can help relieve tension in your muscles, and it’s also great for anxiety relief. Lather up with a lavender-infused body wash, and you’ll feel better in no time! Organize something. A great way to let our nervous energy when you don’t have the ability to leave the house or office is to organize something. It helps promote a greater sense of control, which in turn will help you feel less stressed and anxious. For for a walk. While it’s not always practical to grab your shoes and go for a run when you’re feeling overwhelmed, a simple walk around the neighborhood or up and down the stairs in your home will offer a distraction when big emotions threaten to take over, while also encouraging proper breathing and helping your body to produce feel-good endorphins. Journal. Having a safe place where you can write down your feelings freely so you can express your anger in the moment is another great stress management technique for some, but if there’s a risk your child, spouse, or other family member might read what you wrote, considering writing something positive to try and lift yourself out of your bad mood instead. My challenge to you today is to set aside an hour each week to pursue a hobby, have coffee with a friend, get your nails done, or go on a date with your significant other. Unless you’re too busy, of course. If you find it too difficult to find an entire hour to yourself, I want you to make it 2 hours, because learning how to take care of yourself isn’t just important for your well-being. It’s important for the well-being of your children as well. If you found these tips for learning how to take care of yourself helpful, please share this post on Pinterest! And if you’re looking for more parenting tips and tricks, please follow our Parenting board where we share all kinds of fabulous advice we find each day!